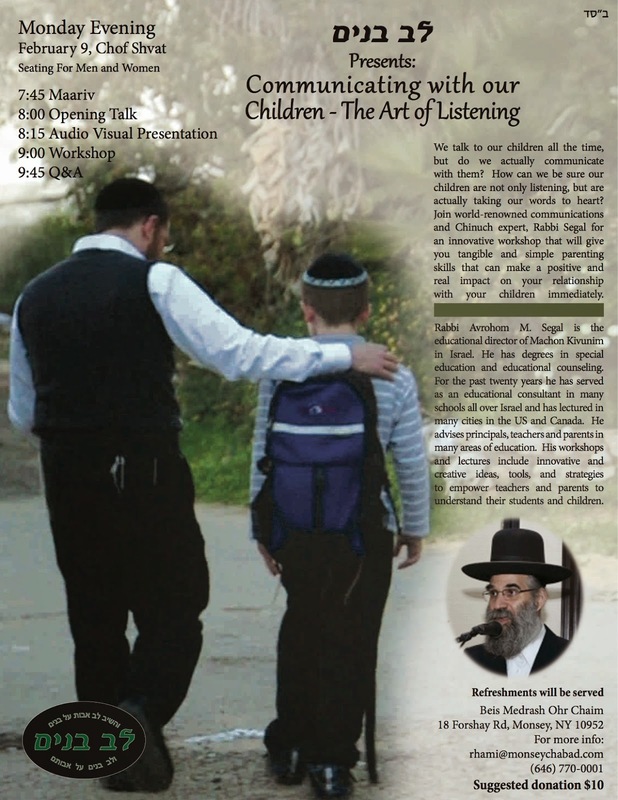 Rabbi Segal of Eretz Yisroel has recently inspired and guided Chabad Shluchim and Educators at the Kinusei Hashluchim and Mechanchim and is now coming to Monsey to share his ideas with our community. Regardless of your relationship with your children and students, you will leave this workshop with a refreshing perspective on how to view them in a different light, and practical information to make changes and improvements immediately. Highly recommended for both parents to attend.